Since its inception, the M3 has always been the exclamation point of the BMW lineup—the exuberant party piece in an otherwise stately ensemble. 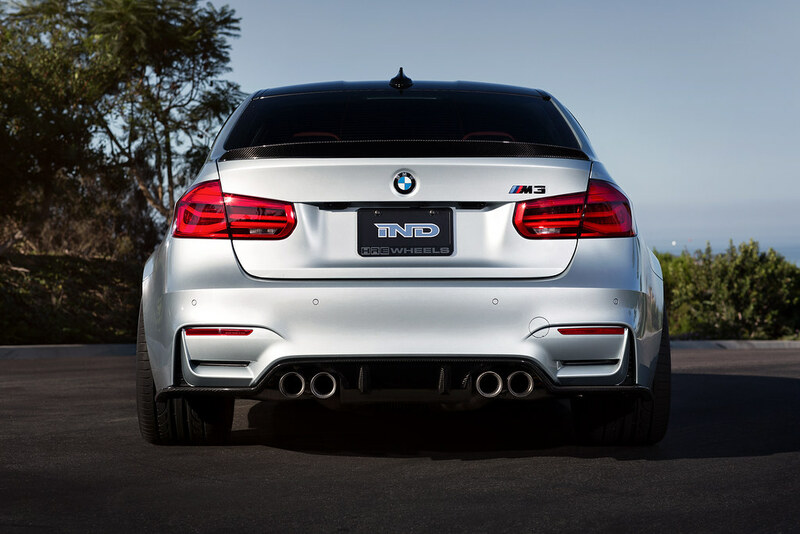 Indeed, the M3’s motorsport upbringings have played a pivotal role in crafting and refining the car’s personality through the years—now, onto its fifth generation, the F8X. But that hasn’t stopped enthusiastic owners from adding an exclamation point of their own, whether through performance or a little cosmetic surgery. Aerodynamic add-ons are now more popular and accessible than ever, serving up the F8X community’s palette with quite literally a buffet of options. 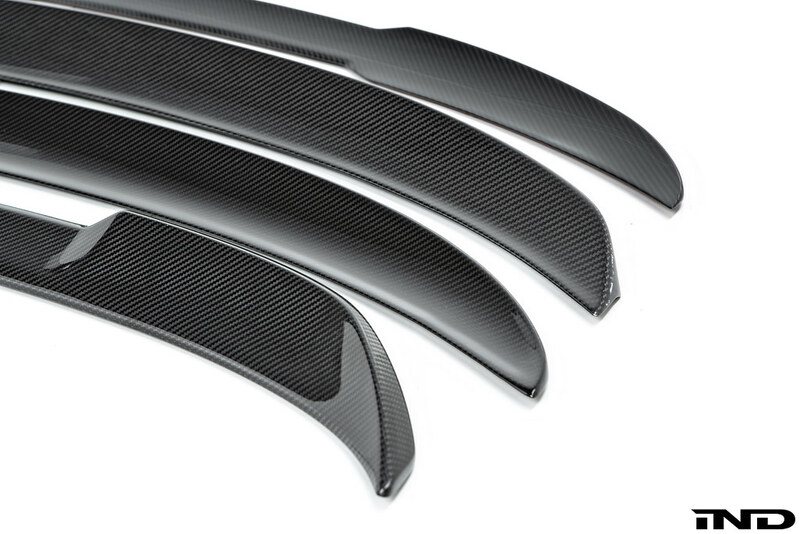 Admittedly, it’s tough to know where to even begin, which is why we’re curating a selection of what we believe to be the best aero options available today—starting with the F80 M3’s carbon trunk spoiler. Interestingly, amongst our top four is a 50/50 split of OE and aftermarket—the former duo being the tried and true BMW M Performance piece and the absolutely drool-worthy, forged carbon CS example. The latter pair come from Sterckenn and Japanese manufacturer 3D Design. The differences between them can be subtle, so let’s take a closer look. 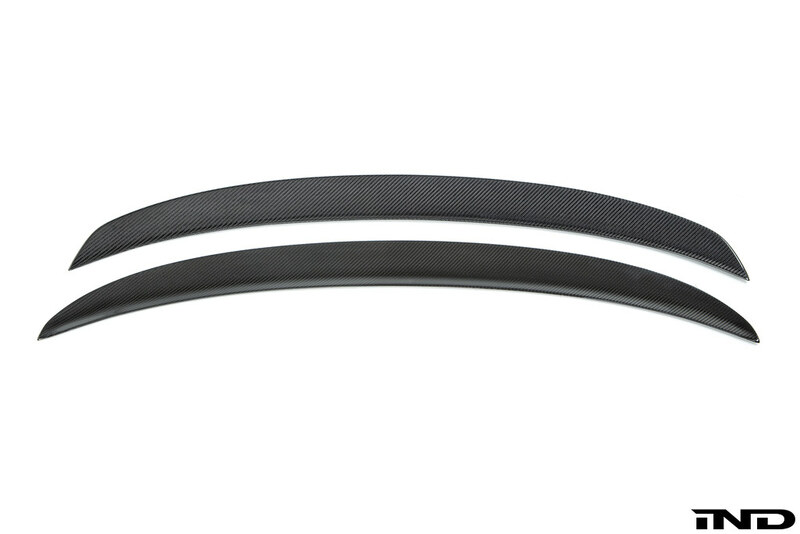 For F80 M3 owners who are looking for just that little bit more, it’s hard to fault the M Performance trunk spoiler. 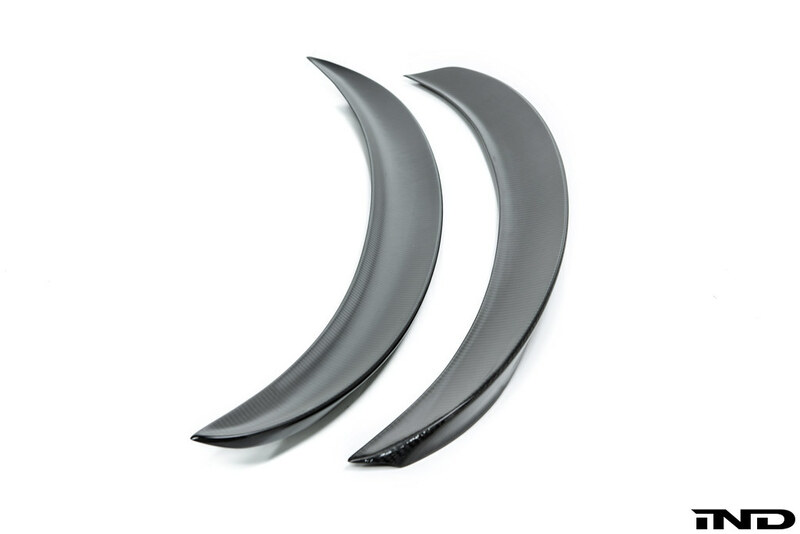 It’s a modest blip of 2×2 gloss carbon that compliments a matching diffuser perfectly—and since it’s an OE piece, fitment issues are non-existent. In a world that seems obsessed with more (many times to a fault), there’s something to be said about subtlety. This is Kendall Jenner, not the full-bore Kardashian—plenty good looking in its own right, but without the unnecessary theater. 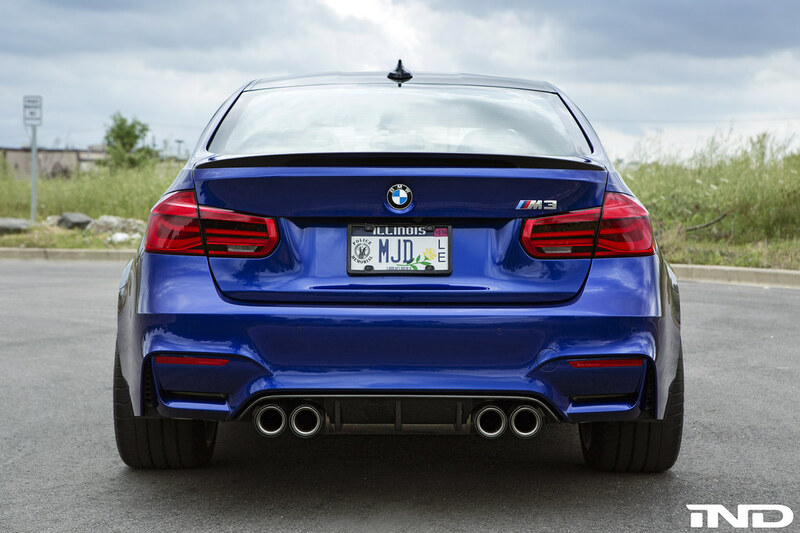 Lined abreast with the CS variant, the M Performance trunk spoiler is decidedly more discrete. 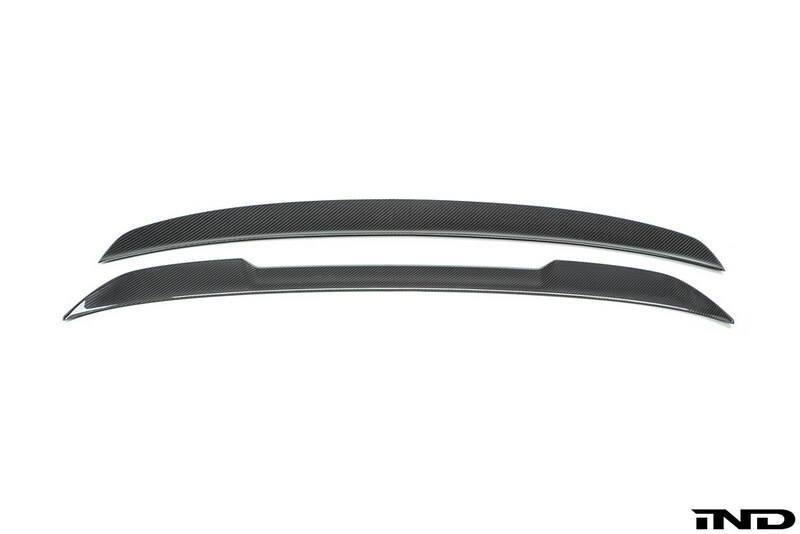 One feature we love is the consistent, rounded edge that hugs the top and bottom portions of the spoiler. Lots of our clients opt to add a paint-matched CRT stripe here, which is a really nice touch that helps call more attention to this piece. 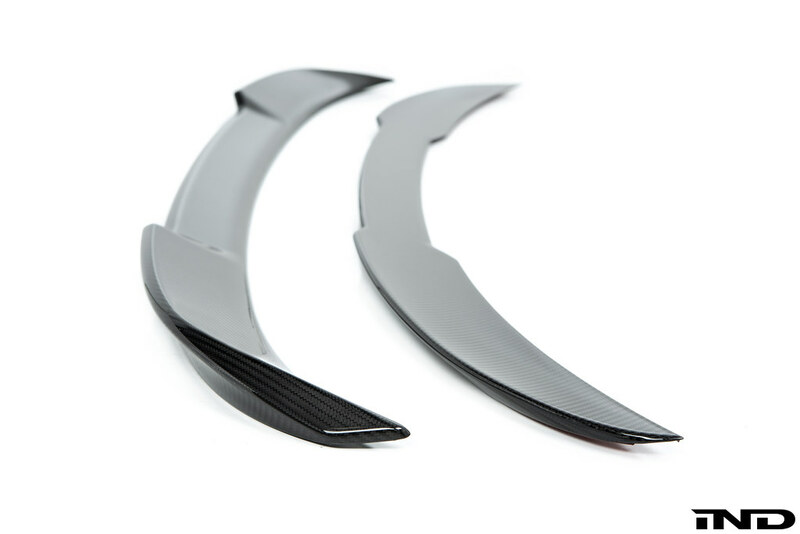 The center of the M Performance trunk spoiler features a cut-out channel that echoes a lot of the M3’s natural body lines well—a characteristic that none of the other choices in this comparison offer. For decades, 3D Design has been synonymous with quality, pairing some of the most timeless aero design language with perfect fit and finish. Admittedly from behind, there is a slight similarity to the M Performance piece, but where the OE variant stops at subtle, the 3D extends further—just so, not to be shouty, but enough to notice a difference. From the side, a much bigger difference can be observed. Not only is it easier to note the 3D’s more pronounced “high kick”, the way that it tapers toward the edge is much more…err, edgy. It just works somehow and helps ensure the piece doesn’t ever feel a bit too bulky at any vantage point. Honestly, if a trunk spoiler could ever be handsome, this would be it—you just look at this piece in person and know that everything is in its right place. For anyone who doesn’t appreciate the CS’s aggressive center channeling, but wants that “high kick” look, this is it. 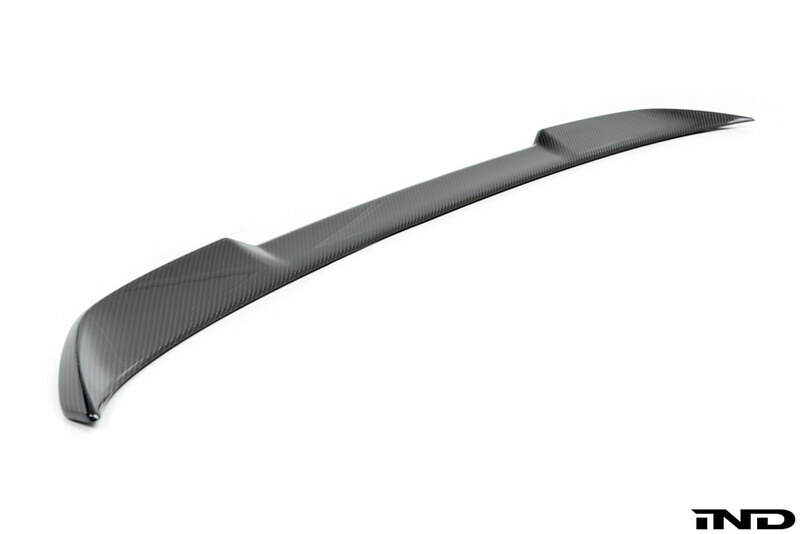 Like the rest of 3D Design’s carbon parts, this is a true dry CFRP constructed piece and is downright flawless. Although the Sterckenn unit is easily amongst the “flattest” options in this collection, you have to appreciate the little details. 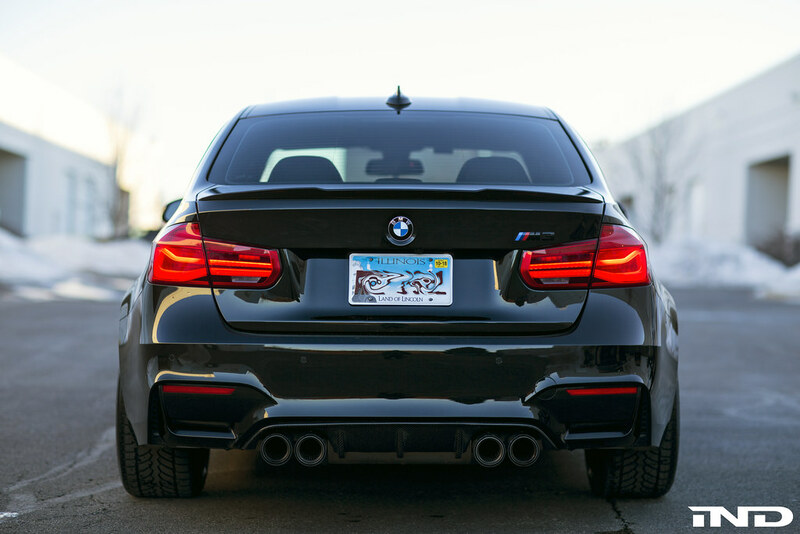 Check out the way that the Sterckenn trunk spoiler seems to line up perfectly with the F80’s body lines. Perfect. Speaking of lines, this trunk spoiler has some of the sharpest lines of the bunch. 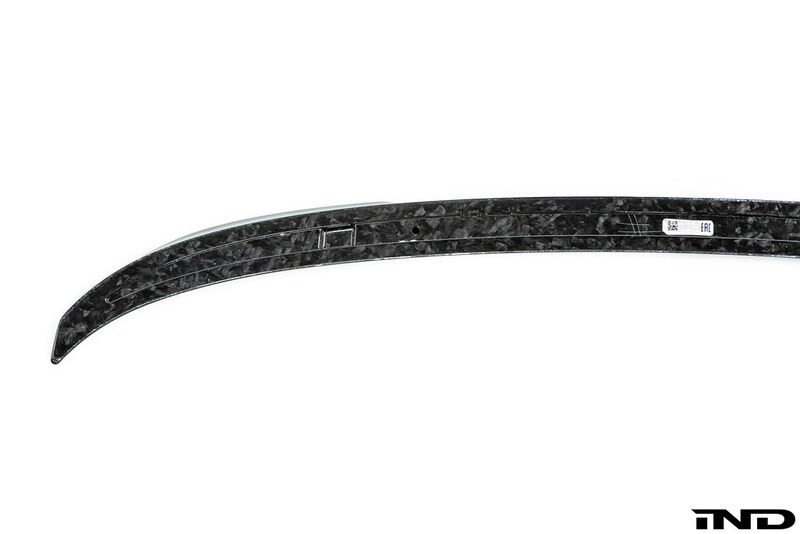 Unlike the others, the cut-out design language is carried over onto the front of the spoiler as well, giving the Sterckenn a sword-like appearance. It’s something I could envision Jackie Chan ripping off a car and wielding against a swarm of attackers. Does he still make movies? Anyway, my point is that despite its flatter profile, this trunk spoiler is aggressive and we love it. The M3 CS. So hot right now. We’re at the end of our list in the same way we started—OEM. It’s a bit odd that BMW carried over the CS moniker to the sedan seeing as it stands for “Coupe Sport”, but that’s neither here nor there. What is here is a trunk spoiler on steroids. 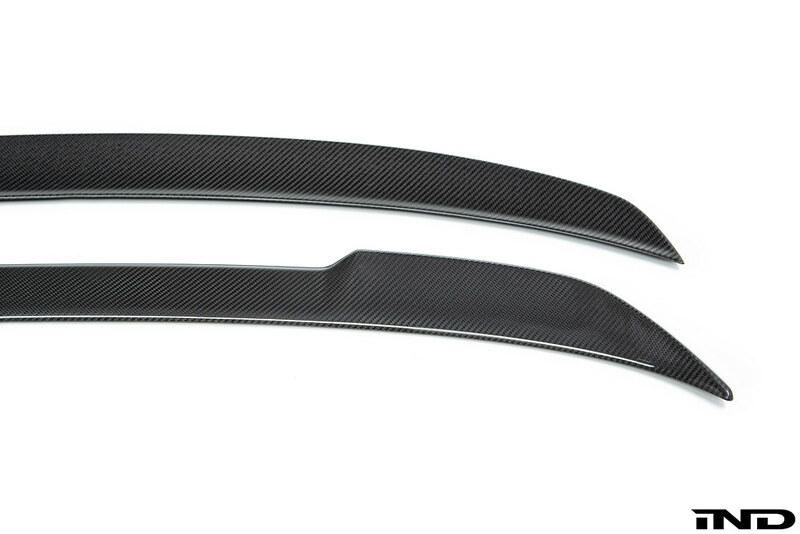 Since BMW took extra effort in trimming the fat off of the standard M3’s already spartan diet (read: 110lbs lighter thanks to CFRP body panels), a similar approach had to be taken once they made their way to the rear. 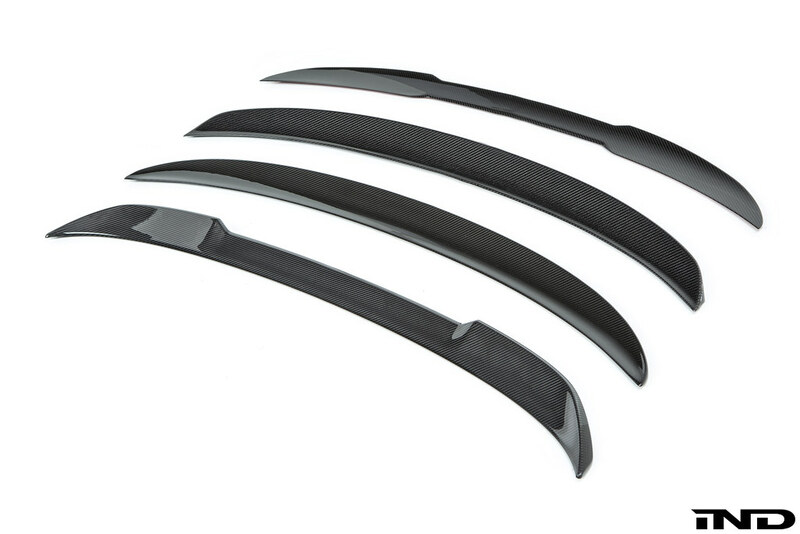 This trunk spoiler, unlike the rest of the lineup, is made from forged composite. 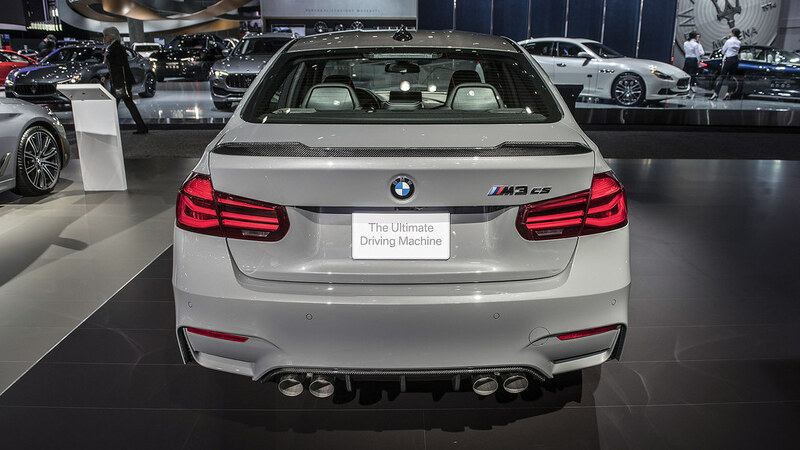 It’s crazy to think what BMW will do with this technology for the next generation M cars, but for now, this construction method is the M3 CS spoiler’s trump card. Amongst this collection, the CS is easily the most aggressive, no doubt to help restore some balance with the vented hood they borrowed from the M4 GTS. Indeed, the car’s entire package looks the business—the M3’s natural flares helping add a bit more drama to these special add-on bits. 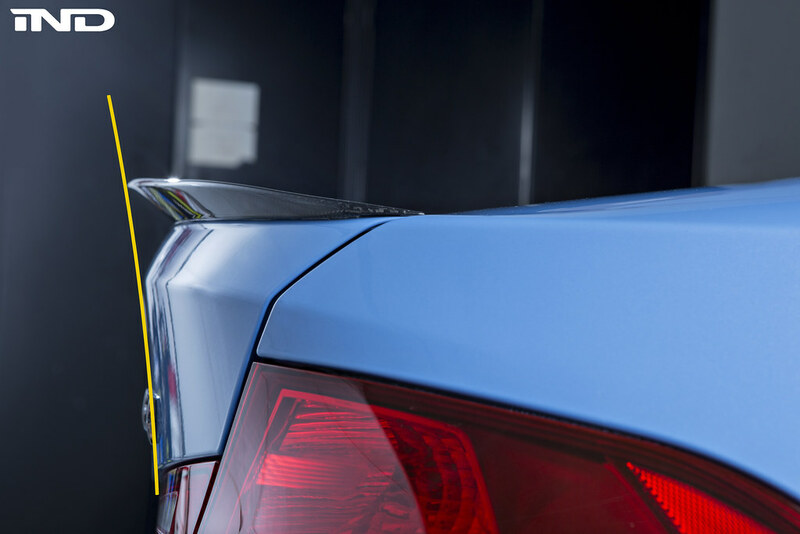 Almost like the way it’s constructed, the M3 CS trunk spoiler seems like a special blend of each of the four options we’ve brought together. 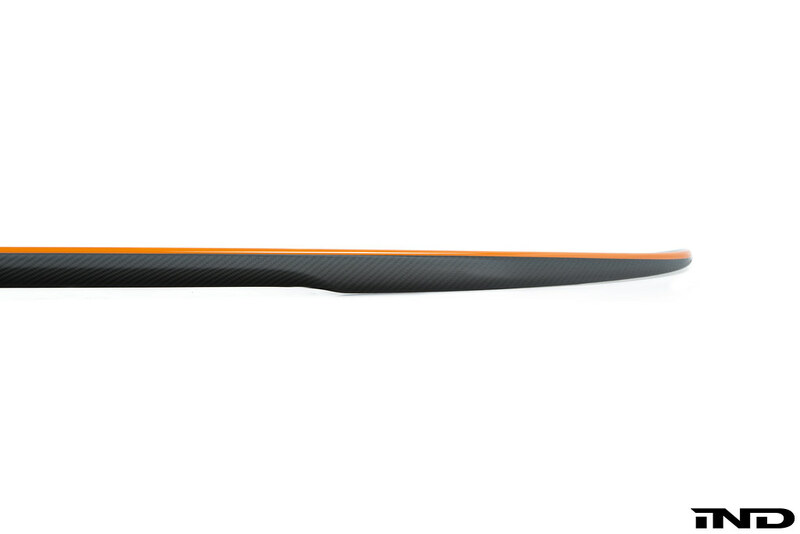 It has the “high kick” of the 3D, the center channel of the Sterckenn, and the OE ties to the M Performance piece. Yet, in its own right, it stands alone—the exclamation point at the end of the F80’s 7-year evolution. And what an evolution it has become.